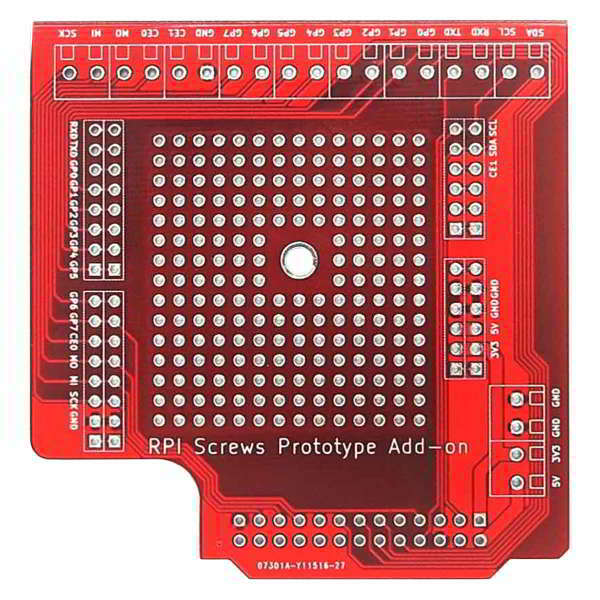 The Raspberry Pi Proto Screw Add-On helps with prototyping and experimentation. Your Raspberry Pi has a number of GPIO pins available at a male header. 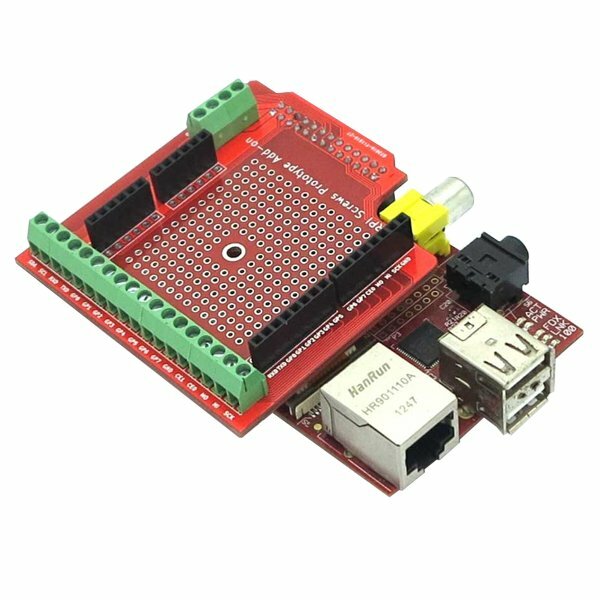 This proto board plugs into the R-Pi GPIO header and routes the I/O pins to conveniently accessible locations. A set of female headers allows you to attach jumper wires just like an Arduino and a set of screw terminals allows more permanent connections. The various header pieces require soldering to the main prototyping board. 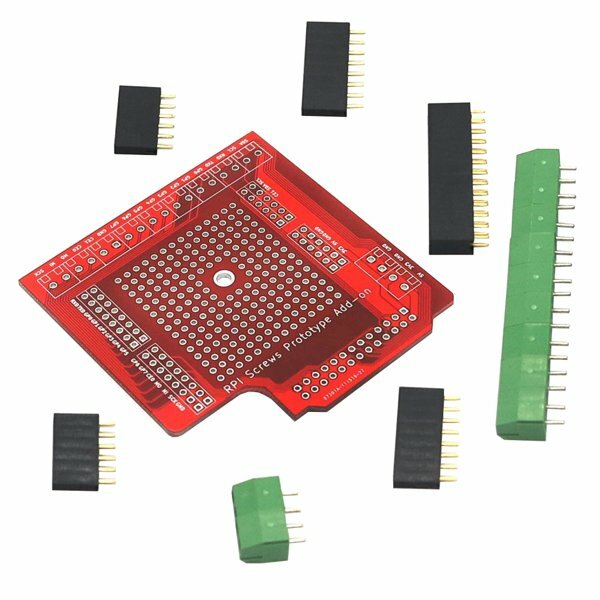 Most of the board is covered with solder pads for maximum versatility. 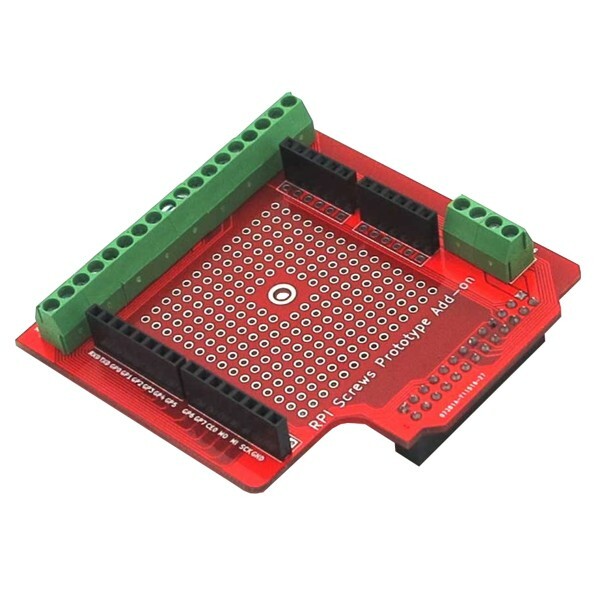 Holes are placed at 0.1" industry standard spacing for compatibility with DIP chips and other parts.